If you’re an anime-robot-vocaloid-music-lover that wants to partake in some sweet discretionary spending, a couple of this year’s Black Friday announcements might be right up your alley. The first of the two announcements is that Korg’s “Miku Stomp” pedal, which was previously only available in select countries, has been made available exclusively via Sweetwater for the low price of $200 USD. The vocaloid sensation that celebrated her tenth birthday last August has stepped away from the keyboard focused community with this Korg partnership, bringing her magic to a limited amount of pedal-using musicians. The pedal features a graphic of Hatsune Miku and up to 11 preset vocal phrases, in addition to applying the iconic vocaloid overlay to connected guitars. Those thinking about buying the pedal will want to act quickly, as the product is set to be discontinued by Sweetwater on December 5. Linked below for your listening pleasure is a track that puts the “Miku Stomp” pedal to good use. 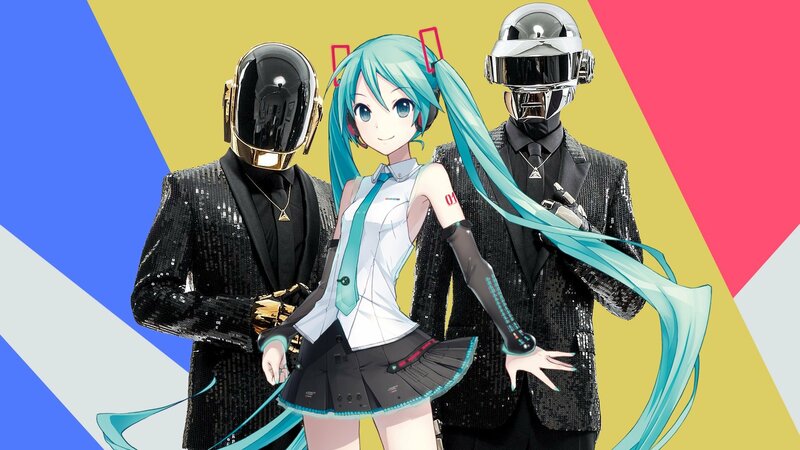 The second announcement is that France’s favourite anime-loving robots, Daft Punk, are debuting new products for the holiday season. Despite not capitalizing on the hype of a potential Alive 2017 world tour, the interstella-duo have made it possible for you to get your hands on some festive memorabilia. Available in limited quantities, the robots have uploaded two new pieces of merchandise to their website both here and here. This time, inspired by the Discovery era, you can now own the classic helmets in ornament form — perfect for you to tape to the side of your non-denominational Festivus pole. Also available is a light-up snowglobe inspired by their most recent collaboration with The Weeknd. The ornament set and snowglobe (on display below) cost $45 USD and $50 USD respectively; based on years past, this swag will sell fast and not be re-issued.